A Continuous Quality Improvement Leader, nationally recognised in quality and risk management knowledge and expertise. A loyal and effective advocate for Te Wana, Florence was also a member of the previous Te Wana Advisory Committee, and is an invaluable contributor to standards revision and peer reviewer training. In 2010 she published ”Quality Improvement in Plunket – A six year journey” in the College of Nurses Magazine, paying tribute to Te Wana. Stephanie has been involved with Te Wana since its inception through her Program Director role in Australia. Stephanie assisted in development of the standards, reviewer training and was Review Coordinator for two New Zealand reviews each year through to 2006. Stephanie held the position of Te Wana Director during 2007/08 and returned as transition leader in June 2012. Stephanie has extensive experience working in Ministry and community non-government organisations and has clinical experience. 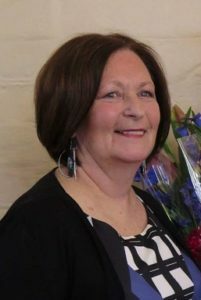 Allison has an extensive clinical background and has held various roles with the Royal NZ Plunket Society including Well Child nurse, International Board Certified Lactation Consultant, and Clinical Advisor over the last 35 years. 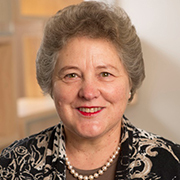 Allison has been instrumental in the development of policy and resources for the provision of health information for families, including the use of digital media. Allison has also maintained a long association with Te Wana as an internal contact and as an experienced peer reviewer. Allison has completed a number of reviews, and brings a wealth of experience in continuous quality improvement to the Board. As a volunteer Allison is a long serving member of Equestrian Sport New Zealand, (ESNZ), and is an official National Jumping Judge.